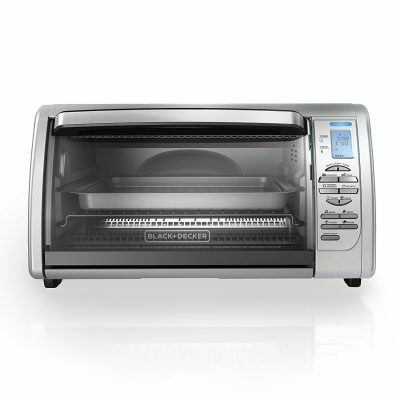 BLACK+DECKER 6-Slice Digital Convection Countertop Toaster Oven Only $34.55! Right now you can score this BLACK+DECKER 6-Slice Digital Convection Countertop Toaster Oven for only $34.55! That’s the lowest price on record! Convection Heating – The powerful convection fan circulates warm air throughout the oven for fast, even baking. Plus, two rack positions for cooking flexibility. Digital Controls – Easy-to-use buttons provide precision control over time, temperature, and function: bake, broil, toast, bagel, pizza, frozen snacks, potatoes, cookies. The digital screen displays cooking information. 120-Minute Timer – The digital timer ensures accurate results. Set it for short jobs like toasting and broiling, or longer for baking. The oven turns off when the timer runs out. 12” Pizza, 6 Slices of Bread – The expanded toaster oven fits nicely on the countertop, while the curved interior makes room for 12” pizzas and 6 slices of bread. Wahl Elite Pro High Performance Haircut Kit Only $38.99!